Everything here is green - the Atlantic fronts normally dump rain several times a day. The winds have been mainly from the West between 10 and 25, with the ocean swells from the southwest. 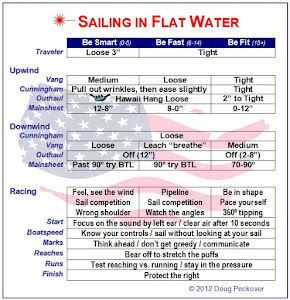 The resulting waves make both upwind and downwind very challenging with lots of speed to be gained or lost. Cork is the oldest yacht club in the world, and has attracted a record total of 320 competitors from 61 countries. The previous record was 240 competitors in Melbourne, so the logistics will be stretched to the maximum. For example, we will all be launching from a single sip into a fairly strong tide. The race area is out of Cork harbor and down the coast – a total of five miles, so everyone getting to and from the course will also be challenging. In the Open Worlds just completed, competitors were on the water for between 6 and 10 hours. It’s also cold - the joke here is that we’re into winter (they skipped fall). 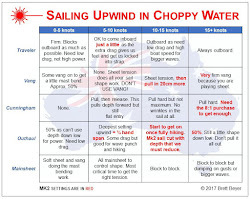 Have trained for 5 months, with about 130 hours of on-the-water practice and racing (this compares to 2 months and 17 hours for Chile in 1997). The 2000 words in Mexico had strong winds, so I wanted to be more prepared this time. My target weight was 185 pounds (left Dallas at 183). The 25 hours of on the water training here has been brutal – people I used to beat are beating me pretty consistently. 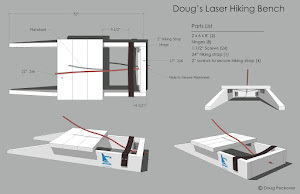 The quality of competition has definitely improved - the Open Laser Worlds (i.e. Olympic fleet) just finished, and the current North American champion placed 20th (and was the only North American to finish in the top 50 out of 160!!). Robert Scheidt of Brazil easily won his record breaking 5th Open Laser Worlds by 37 points. With this level of competition, it’s hard to grasp how anyone can win 7 of 11 races. There were all kinds of theories about what works here, but from what I saw, two things did it: picking the correct side of the course and great boat speed. I asked Robert how he picked the correct side so well and he had a surprising answer – he said did not. He told me that his starts were conservative near an end of the line to give himself options about tacking, and then he sailed by the compass. He said the wind phasing was definite and predictable. But, he’s still human and the one time it did not work, he rounded dead last in his fleet (80th) and somehow managed to climb back into about 30th (which was his discard). Other things I saw: Scheidt still uses a severe sideways body movement going through the waves upwind (much more than anyone else), and he always seems to be riding a wave going downwind. Absolutely beautiful to watch. I also talked with Gustavo Lima, the runner-up from Portugal. He said that he did not use the compass but stayed with the fleet. Go figure. Sailing in a small fleet on a small lake in Dallas means that it’s hard to prepare for a world championship fleet in the open ocean. The way I try to get around this is by knowing my strengths and working on my weaknesses (human nature is to practice what we’re good at, not what we’re bad at). Based on the events that I’ve gone to this year, my boat speed is good by North American standards, my starts are OK, but I have trouble picking the correct side of the course as well as avoiding holes. One other thing – the really top sailors can recover from mistakes. One fellow sailor said that when I make a mistake, I start doing things I don’t normally do, compounding the mistakes. Mark Bethwaite, Sidney, Australia: defending Master World Champion, has been training with double Olympic medallist Michael Blackburn. Mark has also won world championships in other major classes, including J24 and Solings. According to a 1998 article written by Dr. Stuart Walker, Mark is one of the world’s best sailors. Stephen Birbeck, England: former Master World Champion. I sailed against him once and he was fast in all conditions. He has apparently been training very hard and in best in a breeze. Jack Schlachter, Sidney, Australia: has finished 4th several times and should have won it at least once. Extremely fast in certain conditions, some light but mainly heavy. Jack is one of my favorite people and will win the Worlds one day – perhaps this one. Alan Keen, Capetown, South Africa: several top-five finishes, very fast, smart and consistent. In a big fleet where it’s easy to make big mistakes, consistency could win it. Conservative starts, stay in phase in the front row with the leaders, use speed to stay out of trouble, and make no major mistakes. Ten points total for the two races would be a great start. Day 1 August 12, wind 15-20, 1-2 foot choppy waves, cloudy. Because of the high winds in the forecast (that never came) and the large size of the fleet, it was decided that we would race inside Cork harbor. Racing 320 boats twice in a single course that was too small in a strong tide was at times chaotic – example, if you started at the pin and went left, you were in the outer loop part of the trapezoid within one minute. Very few people had two good races, and they are the leaders. At 4 minutes, I set my watch and then headed for the pin so I could come back, looking for a hole. The line was too long to do this, so I picked a spot ¾ of the way down and started a little low in my lane. The boat below pinched me off, so I tacked, took a few sterns, and tacked into another lane. Defending champion Mark Bethwaite (AUS) was below me and did the same thing. He asked if he could cross and, wanting to build up brownie points for later, I said “go”. In a crowd, he tacked in front of me and I realized he had heard “no” (my mistake). He updated me on the latest Aussie expletives and I tacked away onto port. Had good speed and height and stayed in phase until the mark. Sailing the inner loop, started the run on in 7th and stayed right because of the heavy traffic approaching the mark. As we approached the lower gate, I decided to go for the left gate and then changed my mind, permitting Ian Lineberger (USA) to pass me, Rounded just in front of Alberto Larrea (ARG). Ian and I went off to the left and I tacked after 2 minutes because of his bad air to work the middle left. This was made difficult because of the 90 boats in the next fleet coming down the run. When we converged, Ian was 100 yards ahead (did not know it at the time, but the tide was running much stronger on the hard left). Rounded in 4th with a bunch of boats right behind. Held on the upper reach and played the right side of the run. Did not seem to have good speed and was followed very closely by a jury boat who obviously thought I was working the boat too hard. The lower gate was still in place for another fleet, and, as I headed for the left mark, everyone else headed for the right mark. This was not how I remembered the course diagram, but, to play it safe, I headed up to also round the right mark and lost 2 positions in the process. On the lower reach, had Mark trying to sail to lee of me and two others trying to roll me. Held even and rounded 6th. The bottom mark was so close to the shore that the options were tacking into the oncoming crowd or sailing along the shore and risking running aground. I tacked, dodged a few boats, and tacked to protect the right as Mark approached the finish line. He had a bad tack and let two others pass. Finished 7th in a very short 50 minute race. Ian won the race but was unfortunately disqualified for starting early. Found a good hole in the middle of the line and started with good speed and height. No one below me seemed to be ahead, but many above me were. After about 2 minutes, was headed, so I tacked and stayed in phase. Was in the top two working the middle left. Along the port lay line was a long line boats lead by Mark Bethwaite came in from the left. The tide was obviously more important than the wind shifts. Rounded about 15th. Seemed to gain a little on the run and everyone took the right gate to head out into the current. Played a few shifts near the left corner and stayed about even. On the top reach, rounded just in front of former Master World Champ Stephen Birbeck (GBR) who sailed right through my lee and put 200 feet on me by the next mark (believe my vang was too lose). On the lower reach, was sailing with Tim Landt (USA) and Alberto Larrea (ARG) who both wanted to go high. Near the mark, decided to go low and was able to round in front of them. On the short beat, played the left and finished 11th between two other boats. Duration: 50 minutes. Hard left pays – it will be really interesting to see how they set the line to discourage people starting at the pin. Tactically, a great deal of time is spent avoiding boats in other fleets. With 18 points, am currently tied for 6th place but will move down when the final positions are worked out. The finishes themselves were somewhat chaotic - Tim Landt was not recorded as a finisher in either race. Because of the poor visibility, it was decided that we would sail in the harbor again. Jeff Martin has been setting great starting lines to spread out the fleet. Rather than a pin bias, we have had a committee boat bias because everyone wants to go left into the current. I started in the middle with good speed. The tide was not yet moving out, so I decided to play the middle left. On the left, Ted Moore (USA) jumped out and led. As the fleet converged at the mark, former Master World Champ Stephen Birbeck (GBR, who had a slow first day) led from the left to round first. I rounded 8th and powered up with a new, longer outhaul. We were sailing the outer loop and held even on the top reach. On the run, the fleet really spread out to the left and right, so it was hard to see what was working and what was not – felt my speed was good, but so was everyone else’s. At the bottom of the run, decided to take the left gate to work a lift as defending World Champion Mark Bethwaite (AUS) went right into the tide. It worked, so when we crossed 5 minutes later, I had moved into 5th. Birbeck, Maarten Van Der Harst (UAE) and Jack Schlachter (AUS), and had built a good lead, so I focused on catching Moore. On the run, missed a few waves I should have caught, which permitted Ian Lineberger (USA) to pass me. On the bottom reach, he and Moore shot off but went high. I stayed low to catch them at the bottom mark, rounding just behind them. I tacked into the oncoming fleet, Moore covered, and Lineberger headed along the shore. On the port lay line, I tacked to duck Moore and then pinched up a little. On the finish line, was able to cross Lineberger and hold off Moore to finish 4th. Defending champion Mark Bethwaite finished 8th. Race duration was 65 minutes. The tide was now moving out and everyone knew it. Jeff Martin set the line to heavily favor the boat end. I started 4 up from the pin as the fleet charged off to the left. John Bentley (USA) on my hip was getting closer and closer and I noticed his centerboard was not all the way down. I asked him to lower it, which solved the problem. After about 5 minutes, the series leader Colin Dibb (AUS) was now on my hip but pointing higher. None of the 50 boats around me had tacked as we got to the current and near what I thought was the lay line (could not see the mark in the fog). Figured I was in about 5th but was mindful of the upcoming problem finding a lane on port. So, I made what I figured was a brilliant move and was the first to tack to take a few sterns and establish a clear lane (this had worked well in Chile which also had a left-favored course). The only problem is I ended up having to duck more than 20 boats. So, with my lane, I had 20 boats on my hip and only Mark Bethwaite above me. If I was on the lay line, would have been top three as the boats on my hip came down and beat each other up for air. As the mark appeared, two problems became apparent: we were still well short of the lay line, and there was heavy traffic coming down from the fleet in front on the same course. By the time we rounded, Birbeck was in the lead again and I was in 20th place. Went low in the top reach to protect against the tide but was passed by 2 more boats. May have got them back again on the run but it was hard to tell because we were sailing with another fleet on the outer loop. Took the right gate to go closer to shore, which did not really work – may have passed another boat or two – there were over 150 boats on this part of the course. At the top mark, we were met by a third fleet coming in from the inner loop. On the run, played the inside to keep my air free and prepare for what looked like a crowded rounding. On the bottom reach, sailed low and tacked immediately at the bottom mark back into the traffic. When I finished, did not have a clue what my place was. Turned out being a 13th, my worst finish in world’s competition in at least 5 years. Race duration was 60 minutes. Stay with the fleet, even if they appear to be going the wrong way. I have good port tack speed and should have been in the top 3 at first mark in the last race. This looks like it’s going to be a windy event, which I have never won. Lighter winds are forecast for Friday, which might help. If the winds hold, I’ll be very lucky to make the top 5. Ian is having a great series, but could really use the bullet that he lost on the first day. Stephen Birbeck had a great day with two bullets to move into 5th place. Defending champion Mark Bethwaite is struggling. As I expected, Jack Schlachter (AUS) is having a great series – my money’s on him to win if he does not lose his nerve. Alan Keen (RSA) has not been a factor and is in 13th. I’m currently tied with Anders Sorensson (SWE) in 6th pace behind three Aussies and two Brits. In the Apprentice fleet, defending World Champion Alan Davis (GBR) is having lots of problems and is in 9th place. Last week, I practiced with him and was impressed with his speed. It’s clear that more than boat speed is needed in that fleet as well. Marc Jacobi is in 6th, North American master champ Chris Raab is in 8th, and Mark Brink is in 13th. In the Great Grand Masters, defending World Champion Henry De Wolfe (USA) is in 20th. The only safe bet is in the Grand Masters, where Keith Wilkins (GBR) scored two bullets and would appear to be on his way to his 9th World Championship. This is my 10th worlds, and I have never before seen so many of the top masters self-destruct. The person who won both races yesterday is now out of contention. The person who won both races today did not move up in the standings. Three of the top six have disqualifications to protect. This series is still wide open. On the 3-mile sail to the starting area, practiced downwind carving with Marc Jacobi (USA). Mark is fast off the wind and I was happy to stay with him. The wind had shifted from the west to the south, which meant that getting a proper course in the harbor would not be possible. As a result, the legs were much shorter as we sailed the inner loop. Jeff Martin set the line to favor the committee boat and, because the tide would not go out until 2:00 PM, most people started at that end. I started 1/3 of the way down, one up from Stephen Birbeck (GBR) and three down from Mark Bethwaite (AUS). Did not have the speed to stay with Mark as he punched out of the fleet. Birbeck also worked out from under me. Put in a few tacks to keep my air free and tacked onto the port lay line in about 10th. More boats came in from the right and things got messy at the mark. Not sure what went wrong, but rounded about 20th. On the run, worked the right and pulled even with Birbeck as the leaders stretched out. Just ahead, Jack Schlachter (AUS) death rolled and had trouble getting the boat up (it’s very shallow and the mast probably got stuck in the mud). About half way down, got “that funny feeling” that it was time to change sides to protect the left – it just looked better. Visibility was poor. As soon as I had left Birbeck and changed sides, the entire fleet realized that it was heading for the gate of the outer loop and not the inner loop, and did a 40-degree turn to the left. Those on the right lost heavily. Took the right gate in about 15th position. Played the middle left without much success and rounded the top mark just ahead of current series leader Colin Dibb (AUS). He went high on the short reach without powering up and passed 5 boats. I powered up and passed no one. Go figure. There was a lot of confusion on the short run, lower reach, and beat to the finish, and I don’t recall much. What I do know is that Bethwaite won, Dibb was in front, Schlachter and Birbeck were both behind. A check with the notice board on the committee boat showed that Mark Bethwaite was disqualified for starting early. Schlachter ended up 28th from tipping and Birbeck ended up 43rd for being on the wrong side of a 40-degree turn. One very screwed up race that lasted a long 60 minutes. Similar line with the current now flowing to favor the left. Started in a similar fashion with similar results, this time Jack Schlachter (AUS) punching out. Finding a lane was difficult because of my lack of boat speed in what are usually good conditions for me. Rounded about 20th again. Played the left on the run and may have caught one boat. All of the series leaders were ahead of me. On the beat, I headed left for the current but had trouble finding a lane, so worked the middle left. On the top reach, went high like Colin Dibbs did in the previous race and immediately passed several boats. On the run, worked the left and got passed by two on the right who were in more wind. The leaders really bunched up at the bottom of the run and 5 boats rounded just ahead of me. I got into the passing lane on the short lower reach and passed a few more. On the short beat to the finish, I went left and lost one boat on the finish line who was on starboard. Bethwiate won his second race for the day with Schlachter second. When we got in, we learned that both Schlachter and Birbeck were both disqualified for starting early. Race duration: 55 minutes. Boat speed was a problem all day, particularly upwind. Everything was set up correctly and felt good, but others are going faster. I could not rely on staying with any of the top boats. Except for switching sides on the run in the first race, my tactics for both races did not help. Downwind with more foot than usual seemed to be working most of the time. In spite of my mediocre finishes, I'm still in 7th place with the second lowest discard (which is good). However, I’d rather be fast and over early than slow and consistent. Ian Lineberger (USA) is sailing the best I have ever seen and had finishes of 3 and 4, moving him onto 2nd place. If his first race had counted, he would now be 1 point out of first place. However, four of the five leaders including Ian have been disqualified for starting early, with three bullets lost between them. They have each used their disqualification as their discard, but we have 6 more races and they cannot afford any more mistakes. Former World Champion Stephen Birbeck had finishes of 1 and 1 yesterday and a 43 and disqualification today, putting him out of contention. In the Apprentices, the Marks (Jacobi and Brink) sailed well and are in 6th and 7th. No other North Americans are in the hunt in the other fleets. Wednesday is a rest day. Learned today that series leader Colin Dibb (AUS) has been preparing for a year, including a trainer, nutritionist, and psychologist. Master sailing will never be the same. The sunny forecast and sea breeze forecast meant that the sailing would be in the open ocean for the first time. We had a gorgeous breeze and a warm day by Irish standards. The line was pin favored, so I started 3 up from the pin with Ian Lineberger (USA), Mark Bethwaite (AUS), and Ted Moore (USA) below. Worked the steep waves really hard by trying to punch through them and lifting the bow to prevent slamming down the far side. Several boats punched out. After about 5 minutes, Bethwaite tacked and had to bear off to duck me. Kept left and waited for a shift that came about a minute later. Tacked and saw the right side was being lead by Jack Schlachter (AUS). When we converged, Jack crossed me by 100 feet and held this lead until the mark. Rounded 2nd just in front of Bethwaite, who rolled me on the reach. Almost caught Schlachter on the run as Bethwaite worked the right to pull into the lead. Rounded 3rd in a tight group of 5 or 6 boats. Went hard left again as the others went right. When we met half way up, Bethwaite was just in front, so he tacked to cover. Rounded 2nd. Was passed by Colin Dibb (AUS) who weighs just 172 pounds and just flew downwind. Held off Schlachter on the lower reach and final beat. Dibb won, Bethwaite was 2nd, I finished 3rd. Race duration: 60 minutes. Started 3 up from the pin and punched out to work the left again. Had good speed and height and tacked on a shift. Really working the waves was fast but tiring. Things were very close at the mark and rounded in first just ahead of Bethwaite and Dibb. Was faster on the reach because I did not power-up the foot and held even. On the run, Bethwaite worked the right again to pull ahead. Caught a few good waves at the bottom and rounded in first just in front of 4 others. Went left again. Near the top, covered Nick Livingstone (GBR) but he got out from under me as we approached the mark on port. Rather than risk fouling him at the mark, I moved behind him and tried to lee bow a boat on the starboard lay line at the mark. Did not have enough room to squeeze by, so did 2 quick tacks. Rounded in 4th. On the run, played the middle. For a short time, there were several large waves but a little less pressure that I was unable to catch that others were able to, allowing Ian Lineberger (USA) to pass me. I learned later that Dibb caught a large wave as he rounded and he sailed by the lee on it for 500 meters. When he came in from the left, he was in second. Felt that my wave selection was not good. Rounded the bottom of the run with two Brits (Livingstone and Mark Sancken). The bottom reach was tight and I could not catch any waves. Ian took off in front and I was only able to hold on to my position. On the short beat to the finish, played the middle and lost one more boat as the wind shifted right. Might have caught two on the finish line that was biased at the pin, but saw it too late. Finished 8th. Race duration: 65 minutes. Upwind boat speed was good in the waves, downwind was OK, but the reaches were bad. No one led by more than a few seconds and the lead group in both races was very tight. At one point in the first race, I was the only non-Aussie in the top 6 and felt like an uninvited guest at their national championships. We had some very, very close sailing in beautiful conditions. In the Master fleet, Colin Dibb and Mark Bethwaite are pulling away. I’m now tied for 6th and am 14 points behind Ian, in 3rd, with 4 races to go. In the Apprentices, the Marks (Jacobi and Brink) are still in 6th and 7th, with Brink getting a bullet in the last race. Henry De Wolf is leading the Great Grand Masters. We sailed out in the ocean again with the wind from a new direction – the southeast. The pin was favored and I started 3 up, just below Mark Bethwaite (AUS), an expert starter. At the gun, there was a log jam as Ted Moore (USA) had trouble clearing the pin boat. As I pinched up to avoid the traffic, Bethwaite rolled me and shot off in the open for the early lead. I tried to hang in the 2nd row but bailed as soon as I could. There were no lanes going left, so I ducked at least 40 boats before there was clear air on port. Tacking with the fleet would have been a disaster, so I kept going right in clean air. About 10 minutes later, it was clear that the left had less pressure, so I tacked to consolidate and was able to cross all of the boats now on port heading for the mark. When in front of the leaders, tacked back onto port. About 200 yards from the mark, a 30-degree right shift came in, and the boats I had been with on the right crossed. Rounded about 10th, with all of the leaders, who had gone left, behind. May have gained a bit in the run, but the race was abandoned on the next beat because the new windward mark was not set properly. While this would have moved me up considerably, felt that I did not deserve to be this high in the fleet. The next start was also pin favored. Started in clear air 5 boats up. Ian Lineberger (USA) started at the pin – he footed as I pointed. When he tacked, he had to duck me as I went further to the left in clear air. On a shift, I tacked and was on the port lay line in good pressure - felt that this might be a good lead by the first mark. As we approached the mark, the fleet below had more pressure and lift, so about 10 boats led by Jack Schlachter (AUS) rounded before me. On the run, went right, jibed, and tried to catch the waves by the lee, which did not work. Jibed back again and passed a few boats and then worked to the left gate to round in 5th just behind Mark Schroder (AUS). He was footing, so I pointed to stay on port to avoid having to tack into the oncoming fleet. I can usually point well in light, sloppy conditions, but this time it did not work. When Schroder tacked, he cleared me by at least 100 feet. We played the shifts on the right side of the course, rounded 5th. Held even on the top reach. On the run, went straight downwind, as three boats sailed way to the left by the lee. At the bottom mark, they were ahead. Another boat passed me on the lower reach and I held off Nick Livingstone (GBR) on the final beat to finish 9th. Ian Lineberger won the race in impressive fashion. Race duration was 65 minutes. Because it was 4:00 PM, the second race was postponed until tomorrow, although high winds are forecast, there is a chance that we will not get any more racing done. Don’t start near the pin beside Mark Bethwaite. He’s the best in the business at it. This was a painful day for me. With 4 races to go, I needed some good finishes to move up, and the conditions were just what I’d been hoping for. In similar conditions in the last 3 worlds, my finishes were no worse than 3rd. To make matters worse, everyone I needed to catch was ahead of me. Mark Bethwaite finished 2th and had to count it because of his disqualification in the 5th race. This dropped him from 2nd into 4th place. In the Apprentices, Mark Jacobi finished with a 1st and a 5th to move into 5th place.